Regiment/Service: Monmouthshire Regiment 2nd Bn. Grave Plot: Prot. Sec. IV. D. 16. 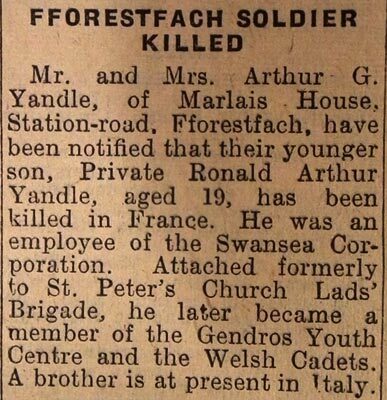 Additional Information: Son of Arthur George and Elizabeth Jane Yandle, of Cockett, Swansea.